Anyone who’s ever kept a plant in a pot will know it needs ongoing care to survive, and the same principle applies to green facade maintenance. Without a good maintenance plan, a vertical garden installation could fail to thrive and may even need replacing. Green facades and walls do not have the exact same needs as ground gardens and indoor pot plant displays. They are unique eco-systems requiring treatment from specialists in elevated horticultural care. They are also usually installed to achieve a specific aim – such as cooling, better air quality, thermal improvements and so on. This means the maintenance plan needs to be very specific and geared towards continuing to meet the original purpose of the green wall or facade. 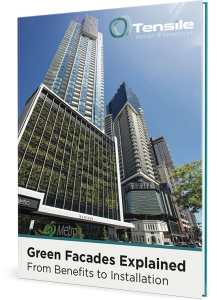 A green facade maintenance plan should be incorporated into the design phase of the project. In the early stages after completion of the installation, regular visits (e.g. fortnightly or monthly) from maintenance personnel may be needed to ensure the facade is getting off to a good start. Once the facade is more established, it may only need six-monthly or annual visits for tasks such as pruning and fertilising. Access to the installation also needs to be considered in the maintenance plan. In a very tall green facade or wall for instance, maintenance contractors may need to use heavy equipment such as scissor / boom lifts or building maintenance units to perform their tasks. 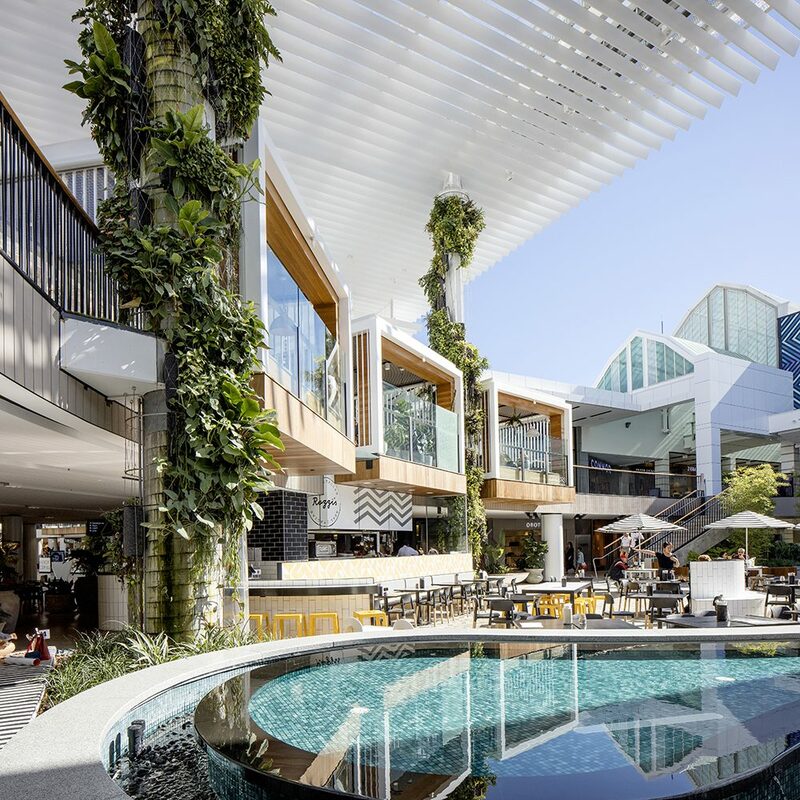 In 2016, Tensile was involved in developing the hybrid vertical garden at Westfield Warringah at Brookvale in Sydney. We supplied the stainless-steel cables and mesh to support Fytogreen’s garden panels on 14 vertical columns in the centre. 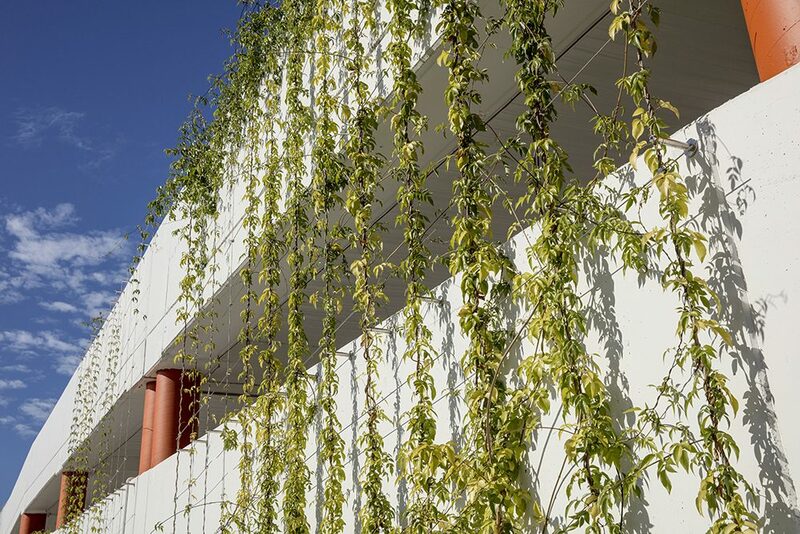 While Fytogreen provided the agreed maintenance for the first 12 months, the contract was then awarded to another business to keep all plant management together – one without specific expertise in vertical garden maintenance. Fytogreen has since noticed significant deterioration of the columns and believes that no notable maintenance or fertilisation occurred during the 12 months following the agreed maintenance period. The result is that up to 60% of the columns will now need replanting and some will even need full replacement with pre-grown panels. This example highlights the need for ongoing expert maintenance of vertical gardens. It also serves as the ultimate reminder that green facades can never simply be “set and forget”! For green facade maintenance and green infrastructure projects, please feel free to reach out to the team.